This article describes how we can set the 24 hour format for TimePicker Control. 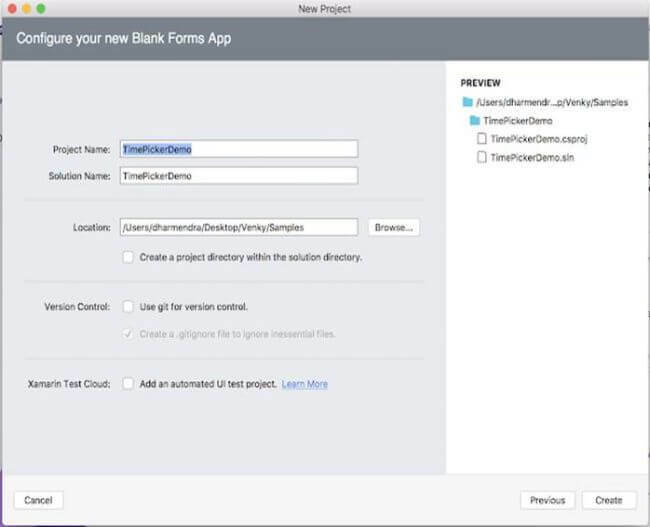 This article describes how we can set a 24 hour format for TimePicker Control. Sometimes, we may get the requirement to set 24 hours for TimePicker. 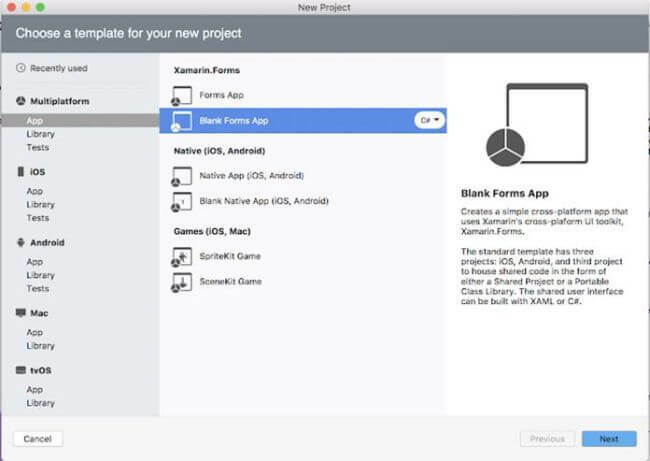 So in this article, we can learn how to achieve this functionality using CustomRenderer. This article source code is prepared by using Visual Studio. And it is better to install the latest Visual Studio updates from here. 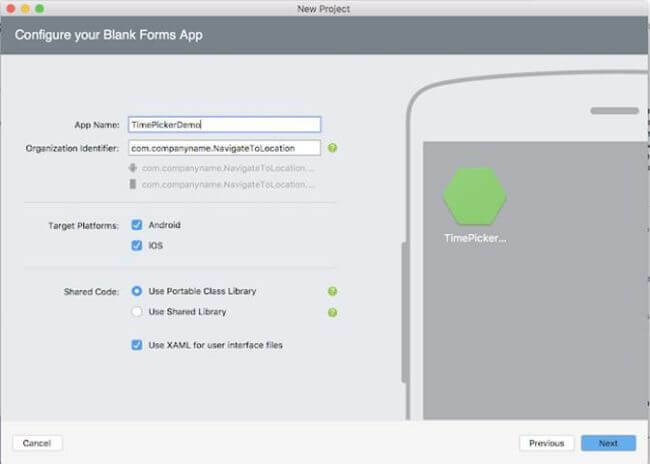 Then, we have to give the app name; i.e., TimePickerDemo. 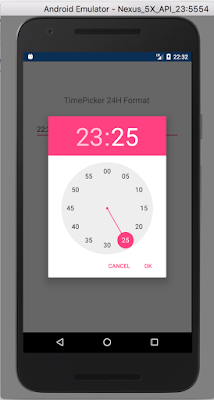 TimePickerDemo.Droid: It is for Android. We need to follow the below steps to set 24 hours for TimePicker. In PCL, create a class name CustomTimePicker24H which should inherit any TimePicker like below. Here OnElementChanged method instantiates an Android UI Layout and in that I assigned the current time to TimePicker and set 24h format. 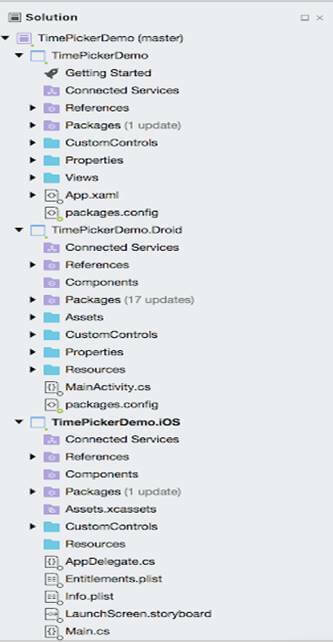 Here, the OnElementChanged method instantiates an iOS UI, in that I assigned current time to the Control and set a 24 hour format using NSLocale. Please, download the source code from here.